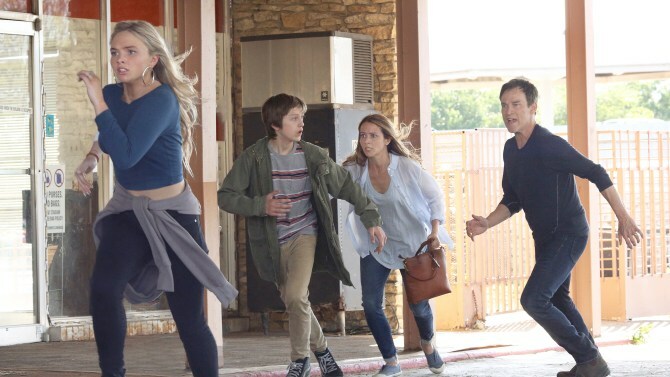 Bryan Singer returns to the X-Men universe with the upcoming Fox series, The Gifted. The first trailer debuted Sunday night about a family on the run after their kids are discovered to have mutant powers. Singer directed the pilot episode and produces the show with showrunner Matt Nix. The parents played by Stephen Moyer (True Blood) and Amy Acker (Person of Interest) lead the Strucker family whose kids' mutant powers have them in the crosshairs of the government and must join an underground group of mutants to survive. The Gifted will swap nights with Gotham replacing Lucifer at 9 p.m. on Mondays. Lucifer moves to 8 p.m. while Gotham moves to 9 on Thursdays. The question remains is all this schedule rearranging worth it to accommodate this entry of X-Men live-action television? The trailer itself is pretty unremarkable as it follows the staples of comic book movies and television. Newly discovered mutants fear for their lives against an insidious government entity. A template Singer is more than familiar with after directing four X-Men feature films. In fact, little so far distinguishes from NBC's 'Heroes' but that will hopefully change as more is revealed. We're hoping it can capture the magic of 'Heroes' season one and not the drudgery of subsequent seasons. "It’s big, it’s cinematic and it’s commercial," Fox Television Group chief Dana Walden said at Monday's upfronts in New York. Let's see if that translates into a compelling storyline that's exciting and involving without being convoluted and ultimately disappointing. The Gifted is expected to arrive this fall on Fox.